Randy is employed as an eLearning Operator at CPG and has over nine years of working experience as a Technical Installations Operator in the telecommunication industry. During this time, he has accumulated an in-depth technical knowledge of audio-visual and security systems such as Access Control, Burglary, Fire, Heat and Smoke Detecting Modules, CCTV and DVR Systems, High-Quality Video Recording and Teleconferencing Systems. 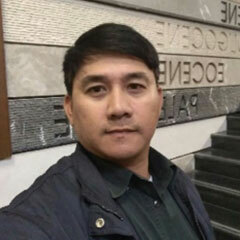 Before joining CPG, Randy spent two years as a technician with Nesma Trading Co., two years as an Audio-visual Technician with the Chamber of Commerce and Industry, KSA, three years as an Audio-visual Communications Technician for Electronic Integrated Systems Inc., KSA, and started working as a Telephone Technician for LM United Telephone Co. Inc., South Centro in The Philippines. Diploma, Electronic Engineering, Bicol Institute of Science and Technology of Art & Trade, Philippines, 1996.